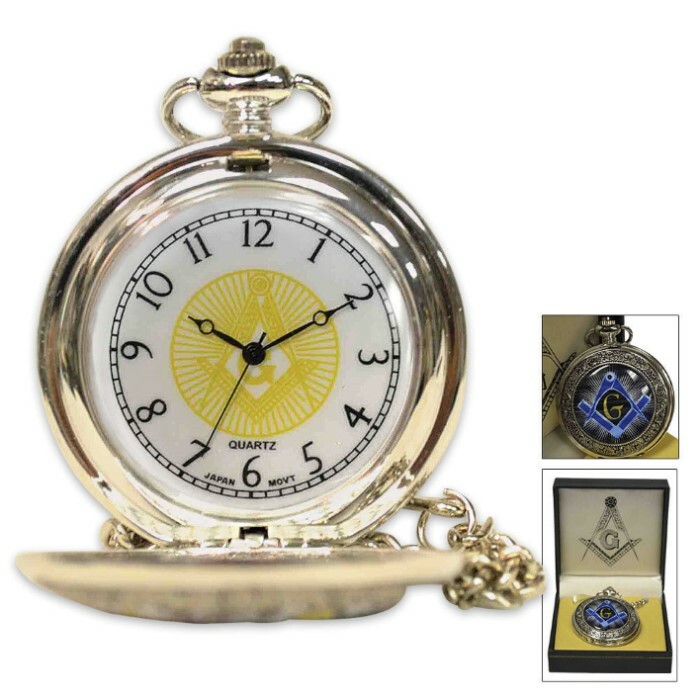 Masonic Freemason Commemorative Pocket Watch With Chain | BUDK.com - Knives & Swords At The Lowest Prices! 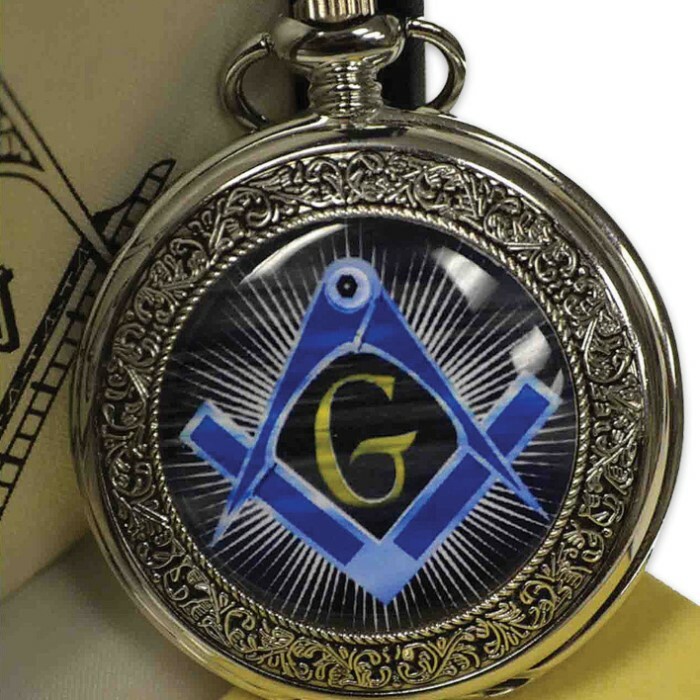 Perfect for the freemason in your life, this Masonic commemorative pocket watch offers understated elegance and style with its vintage look and feel. 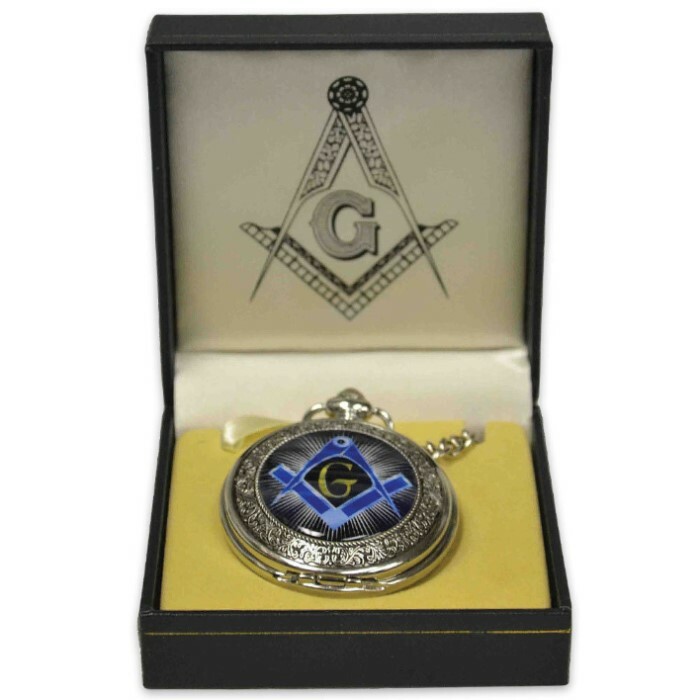 The steel case has a polished antique finish and inlaid Masonic emblem, and the face features Masonic-themed artwork that will make it special for the freemason. This is a great gift idea and commemorative pocket watch.